Anyone who had first-hand knowledge of the greatest American conflict has long since passed into their grave. Today, personal knowledge of that period comes through viewing deteriorating grave stones or walking through the few surviving antebellum homes where men and women lived, loved and sometimes died. Occasional visits to dressed up battlefields helps visitors to reconnect to the most terrible or triumphant moments of that war. Viewing Civil War re-enactors who stage mock battles while wearing and carrying clothing and equipment duplicating the 1860s items, adds a vital look at the enormous efforts that terrible war required. With the exception re-enactors, the modern American has lost all personal connection to the men and women who fought, suffered and died to carry our nation into its present. This book as an effort to return the civil war reader to a more personal identity with the men and women of yesterday. 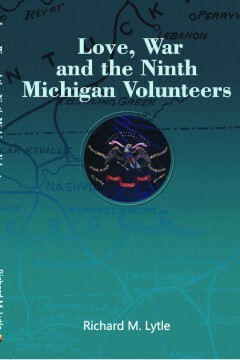 It started by focusing solely on a specific group of men, the men and boys who were the rank and file of Company B of the Ninth Michigan Volunteer Infantry Regiment. But, as the research proceeded deeper into the past, it became apparent that their story had to be told as part of a larger narrative. The narrative now includes the entire Ninth Michigan Regiment and especially Colonel John Gibson Parkhurst who did have a story worth telling. One hundred years ago, the victory of Chinese October Revolution led by Dr. SUN Yat-sen and the victory of Russian October Revolution, headed by V.I.LENIN, opened up the new era of the Infant Socialist Revolution that has dominated the world affairs ever since. They pioneered the socialist revolution, yet they may have not realized the infant nature of such revolution. Without existing successful example to follow, they naturally always try to compare their behavior to the standard of Marx’s Orthodox socialist theory: that often caused them to make the mistake of leaning too far left. Yet there is no reason to expect that the Infant socialist countries which came from feudalist or undeveloped countries should be perfect; it cannot be, simply because they created such unprecedented social systems-beyond any revolutionary’s wisdom. Contributions of main revolutionary theorists and practitioners, selectively chosen; to the present day socialist camp, from Karl Marx to Mr. DENG Xiao-ping; theory of Infant Socialist Revolution. 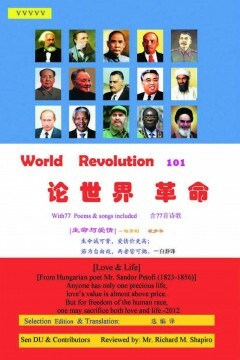 77 pieces of revolutionary songs, poetry. Some scientific articles dealing with health issues; some articles show that bourgeois scientists or experts make pseudo statements or judgments because they cannot tell right from wrong, white from black. It is impossible for anyone with bourgeois ideology to not express his or her bias. The main contents are contained in 101 passages. Yet, the people of the developed countries, of the third world and of the Infant socialist countries are waiting for the coming perfect socialism to happen. That will be the Orthodox socialist revolution, the most important part of the world socialist revolution, the main leading force of the world revolution.